CBC – artisan brewing company opens on Spice Route! All I can say is WOW! Charles Back is a marketing genius! 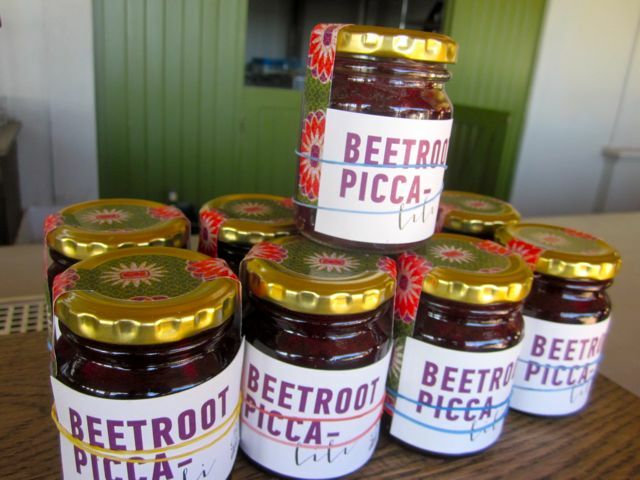 By buying the Seidelberg Estate (two farms down from Fairview) – he has created a hub of artisan fun on the Suid Agter Paarl Rd that is too hard to resist. He inherited a wonderful tenant called Red Hot Glass – here a talented team develop hand made artisan glass artworks. It is well worth popping in to see them blowing the glass and to check out the gallery. The wonderful thing that has happened on the estate is that it was decided to include a number of artisan businesses as part of the mix of attractions! 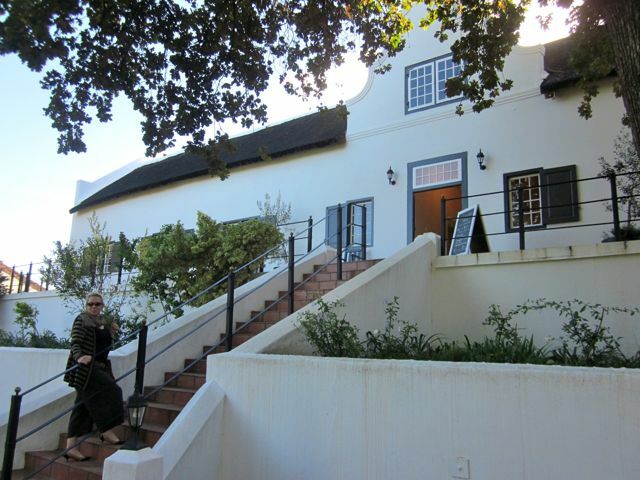 Firstly DV Artisan Chocolate factory launched in the old Cape Dutch Manor House. Here you can enjoy a wonderful chocolate tasting of 6 chocolates made directly from cocoa beans that have been brought in from 6 different areas in the world. 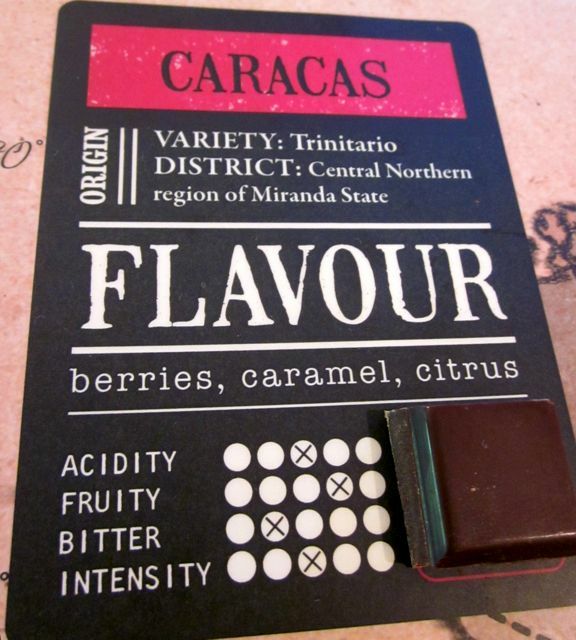 It is an amazing experience as you can actually taste such distinct differences between the chocolates. Click here to read my blog on DV Chocolates. DV chocolates have just launched their coffee range. As they have the equipment to roast the cocoa beans that they have imported, they may as well import coffee beans too! As such you can now head to the coffee bar and taste coffee made from a variety of African coffee beans. Shortly they are launching a coffee shop and will of course be serving all sorts of chocolate treats like brownies made from their own chocolate! Yum! 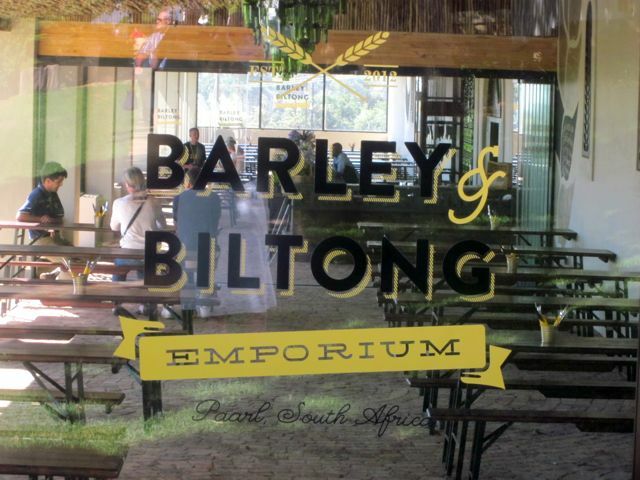 CBC – finally great artisan beer tasting in the winelands! 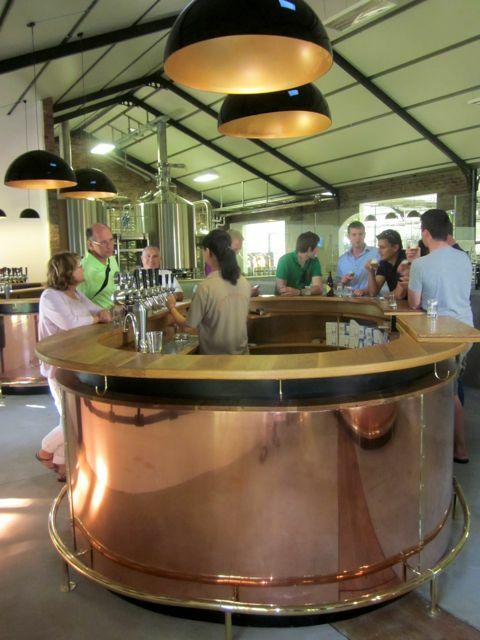 Next to open in the last few weeks has been the Cape Brewing Co (CBC). This is a joint venture between Charles Back, Andy Kung and Swedish brewer Henrik Dunge. I have literally been watching them build the brewery while I have been visiting. Interestingly they launched the tasting areas first while they were still assembling the brewing equipment. In order to launch – the first beers were produced in Sweden and the first locally brewed beers are just starting to come off the production line. They aim to make the finest beer possible using only the finest ingredients. A visit allows you to taste the five beers that they are producing and also gives you a great background into how they are being made. Be warned – when the equipment is operating it is really loud! Come & stay for a pint or two! biltong?). 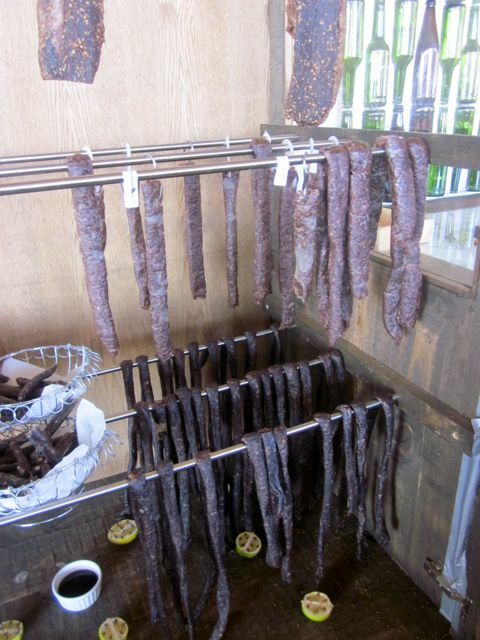 You chose your piece of biltong – they weigh it and cut it up for you. 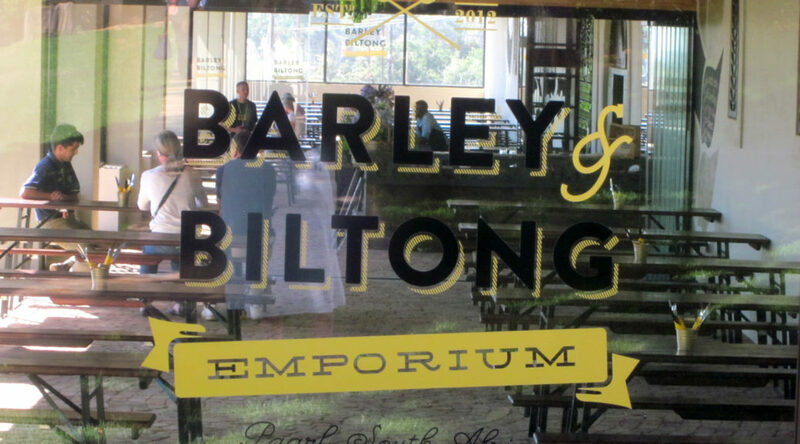 As any local knows – there is nothing nicer then a piece of freshly cut biltong! Yummmmmm! This spot also has a couple of daily light meal options to chose from – as such it encourages you to linger. I love it – well designed – great view – fun and stylish. The only strange thing about is is that there is no music. Somehow – I think some relaxed background music would just be the touch that makes this spot purely magical. My Russians were the 1st to taste here! 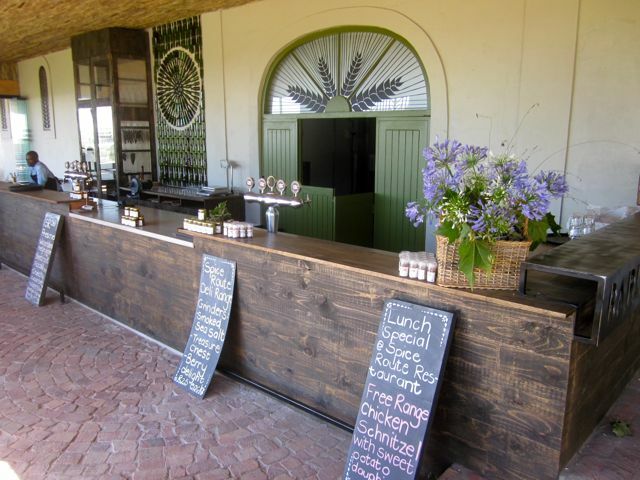 Wilderer’s has opened a tasting room and pizzeria on the estate. 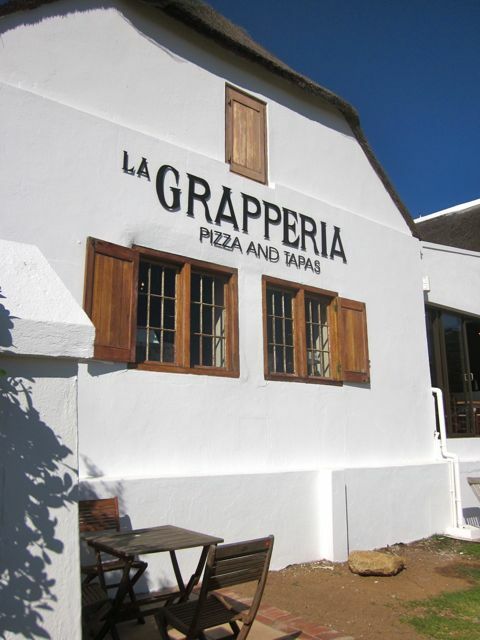 Here you can visit for a tasting – or come and relax and enjoy a pizza and the view! I am not too sure whether one would chose to sip grappa while easting pizza – but it sure will assist you with digestion afterwards! 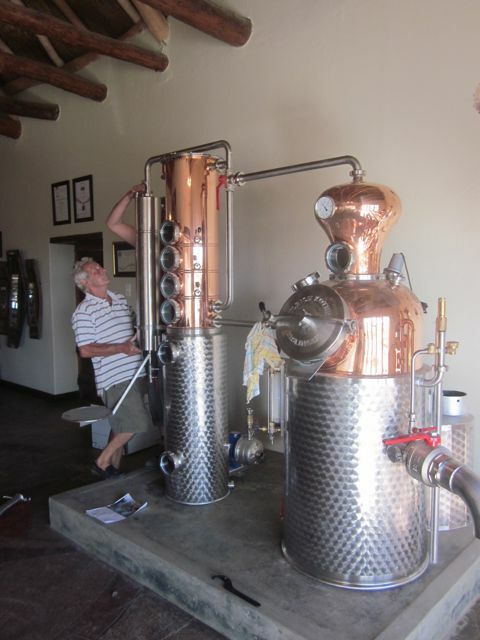 We were there a few weeks ago as they were building the still and as my client’s were fans of Wilderer’s from years of visiting the Cape, they agreed to let us be the 1st to taste there – even though they were not officially open yet! So – plan a whole day out to Spice Route! 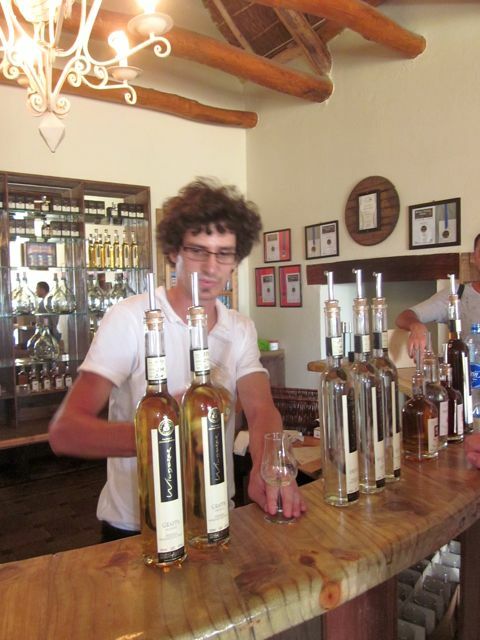 Note that Fairview is two farms down on the same road and it is a wonderful spot to head for a wine & cheese pairing! They also have a wonderful restaurant where you can nibble on cheese platters and enjoy freshly baked breads! The Suid Agter Paarl Rd is now a real gourmet playground! Thank you Charles! Take exit 47 on the N1 which is the R44 turnoff for Stellenbosch. Turn LEFT and continue for 6.2km. 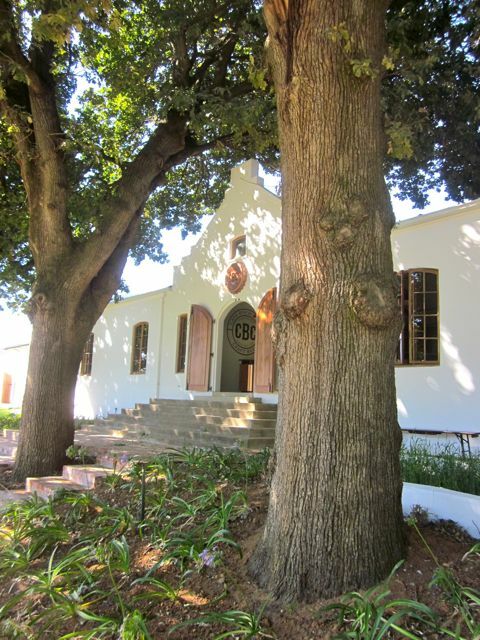 You will see a sign to the right for Fairview (Agter Paarl Rd) – note that it comes quite suddenly – so watch out for it!